A few weeks ago I received a wonderful package in the mail. 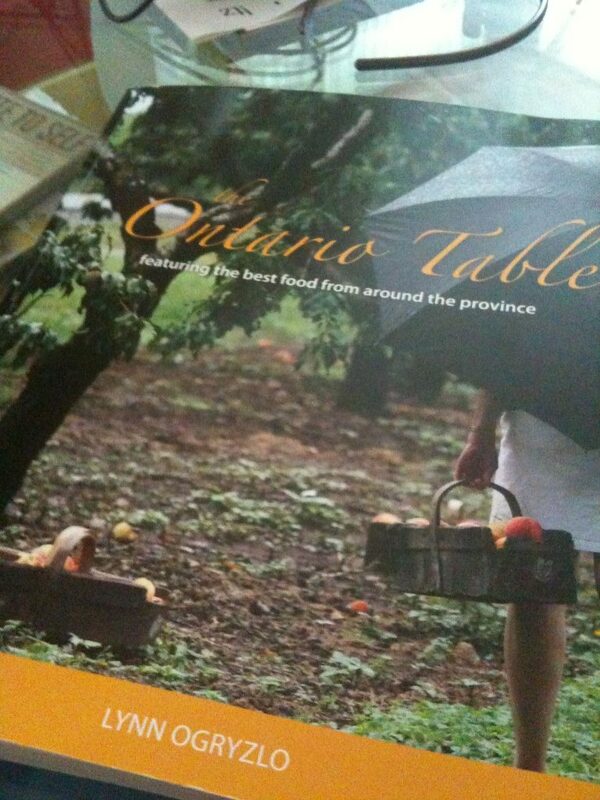 Author Lynn Ogryzlo had sent me an advance copy of her book The Ontario Table. It is wonderful. I haven’t put it down since I received it and think it’s just a beautiful compilation of photographs, stories and recipes. On my trip to the Downtown Windsor Farmers Market last week, I took it along to scout out ingredients for a few of the recipes and had tons of comments on it. It’s a great book for many reasons. It’s full of stories about farmers, producers, growers, filled with recipes using local ingredients. You’ll even recognize the names of a few local folks! Lynn has issued The Ontario Table $10 Challenge. It’s easy. All you need to do is just buy $10 worth of local food as part of your groceries each week. Living in Essex County this task is easy! Our county is bursting at the seams with an abundance of agriculture. Adriano and I have always been advocates of supporting local business and farms and we encourage you to take up the $10 challenge! Visit our farmers markets, wineries, farms and retailers that support our local agricultural industry. Get to know the people and families that produce your food and live in our communities. I’ll be using the local pickerel I picked up at the market try my hand at a recipe from the book. I’ll let you know how it goes and share the experience with you. In the meantime, although not in stores just yet, the book is set for release on June 22, 2011 and you can visit www.ontariotable.com to order a copy. Thanks Lynn!